It has been deal time for Facebook over the past months, or year? After Microsoft, the Honk Kong billionaire Li Ka-shing and the Samwer brothers Nokia is now rumored to be in talk to invest in Facebook. Let’s however first take a look at what the Samwer brothers have gotten last week for their money. The Samwer brothers, Marc, Oliver, and Alexander, have reportedly taken a stake in the social networking site, according to online sources including Reuters. 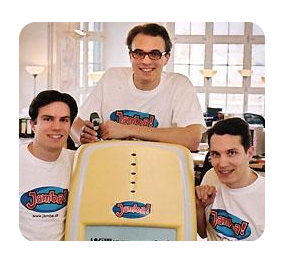 The three German Internet entrepreneurs, the Samwer brothers, have taken a stake in the social networking site Facebook, Alexander Samwer said. Mr. Samwer, who declined to reveal the size of the stake, said the brothers would now become Facebook’s strategic partners in Europe. “We are going to support the expansion of Facebook in Europe,” It has also been disclosed that the Samwer brothers have offered up less than the $240 million that Microsoft paid for a 1.6% stake in Facebook, but the Samwer brothers’ investment amount, was rumored, is still sizable. Samwer have basically given the following comment: it was a “significant” amount, and less than the $240 million Microsoft paid for a 1.6 percent stake in Facebook in October, which valued the site at $15 billion. Analysts are left to speculate on the exact numbers. “We think Facebook is, after Google, the most innovative company to have emerged in the last few years. We think it will be the phenomenon for the Internet that Windows was for the desktop,” Samwer said. Pretty serious claim, but it has to be taking into consideration the huge amount of money being poured in Facebook on reportedly less than $200M in revenues for 2007. As the Samwer brothers are becoming the strategic partners for Facebook in Europe means that Facebook is getting even more serious about its European expansion. With the Samwer brothers having a large, vested interest in the success of Facebook’s growth across Europe, this seems like a pretty good fit considering the interests for all parties involved. Just a week later and we are seeing today Nokia is also ready to jump the bandwagon of Facebook investors. However, this deal seems to be structured/offered in a little bit different way than pure investment where Nokia is rumored to be in talk for a deal with Facebook to bring the social site on to Nokia handsets in a major way. The Facebook placement could be as prominent as the YouTube button on the main screen of iPhone, online sources indicate. In addition, the deal is said to involve giving Facebook a major slot within Nokia retail products’ displays. Nokia purchasing a stake in the company was said on several news sites and professional blogs is something yet to be confirmed. This now makes a little more sense in the light of Facebook’s recent strategic funding by Sawmer Brothers, in an effort to expand in Europe. The Nokia-Facebook deal would probably give the social network instant big-time mobile distribution: Nokia is the world’s largest maker of mobile phones after all. Nokia has of late been working on a number of services for the mobile, including its mobile web service Ovi, its mobile social network Mosh, and its most recent acquisitions in the larger media applications space. In October last year, it bought digital mapping provider Navteq for $8.1 billion to eventually offer customers location-based services. Also in October, it announced a deal to provide a year’s free access to Universal’s music catalog on certain Nokia phones. Also, it bought three other smaller companies last year: Avvenu (file sharing on mobiles and between mobile-PC); Twango (media sharing service for the hefty amount of $100 million); and Enpocket (mobile advertising and marketing services). On the content side, the potential deal with Nokia could be seen in very positive light for Facebook to drive the site’s usage on the mobile web. The investment side, although nothing is for sure yet, isn’t that surprising given how many companies and high profile investors have already bought stakes into the Facebook over hyped site. “The remarkable part is how many companies are willing to invest in Facebook at a $15 billion valuation. At best Facebook may be worth even more than that, particularly when you consider sites like Baidu have a market cap in excess of $9 billion.” Said Duncan Riley, who is an author at Techcrunch. We don’t know when Facebook may move to an IPO; in his 60 Minutes interview a week ago Mark Zuckerberg said that it might be this year, or next year, or even 2010. What we do know is that an IPO in the current market will unlikely provide a strong valuation for Facebook. Taking into serious considerations the current stock market conditions and all the US recession talk lately Facebook is highly unlikely to IPO this year. 2009/ 2010 are spoken out as the earliest dates for the Facebook’s IPO, presuming that the market eventually recovers. Other less optimistic people are commenting that an investment at that $15B valuation is nothing less than idiotic and give the following details in support of their claims. When MSFT made investment in FB, YHOO was trading at $25/share. That is 20% higher than todays price. No way is FB worth 55% of Yahoo’s valuation of $27B today. Yahoo has revenue of over $6.5 Billion. FB generated $150M. Yes, FB is growing. But, YHOO has a real business and FB is trying to figure out how to make money. Competition: FB has more competition than YHOO. YHOO has to deal with GOOG, MSFT and ASK. FB has to deal with the 15+ social networking sites plus GOOG and ASK (expected soon!?). In opposition to these claims and comparisons, other people find it quite shocking that this isn’t apparent to most people why FB is put at such high valuation and is being chased by major companies. A stake in FB to certain companies is a priceless gamble. They are not trying to own a stake so that if/when FB becomes a revenue source they too can share in the benefits and see an incredible ROI. What they are doing is trying to solidify a relationship (as exclusive as possible) so that as FB carves out their experimental business model these companies will be able to couple themselves to it somehow. It’s more of a bribe than an investment, sources claim. Companies like Microsoft and Nokia are essentially saying “We will pay you a few hundred million to establish the beginnings of what will be a mutually beneficial and exclusive relationship. A small portion of your company will be an added benefit and you can use that to broadcast a large valuation to the world to further legitimize your business despite an unproven and incomplete model”. Facebook would like to continue to own and exploit their users’ private data without sharing in these profits and simply providing a useful service. Unfortunately, consumers are quickly learning that this may be something to be concerned about. There is a fast growing demand for openness that will hurt their walled garden philosophy. At some point an open and selfless alternative will arise and Facebook will shrink in order to remain a viable player for the long run. The catch 22 will lead to the inevitable deflation of Facebook. The latest comScore metrics, we have seen, revealed that Facebook is actually site #16 (others claim it is #6 today) in US with nearly 70M unique visitors per month and more than 50M registered and active users. Facebook is reported to have turned deals down from Friendster, Yahoo, Viacom and the mighty Google a couple of months ago when Zuckerberg has chosen Microsoft to partner with. Microsoft de-facto has invested $240 million into Facebook for just 1.6 percent of the company in October 2007. This put the company’s valuation at over $15 billion on just $150 million in annual revenues. Total funding for the company is now exceeding $400M as this number is highly speculative given the fact no public information is available for both the Samwer brothers’ investment and the Nokia’s eventual equity purchase. It would really be interesting to find out what’s the equity position Mr. Li Ka-shing, Samwer brothers have secured and eventually Nokia will have for their money considering what Microsoft has bought for their $240M. Hong Kong billionaire Li Ka-shing Invests $60m in Facebook. Facebook now has $338.20M in cash to play with. Plans are the company to go public in 2008 or 2009 according to some rumors within the sector.